The California Secretary of State’s office has made online pre-registration available for 16 and 17 year-olds. 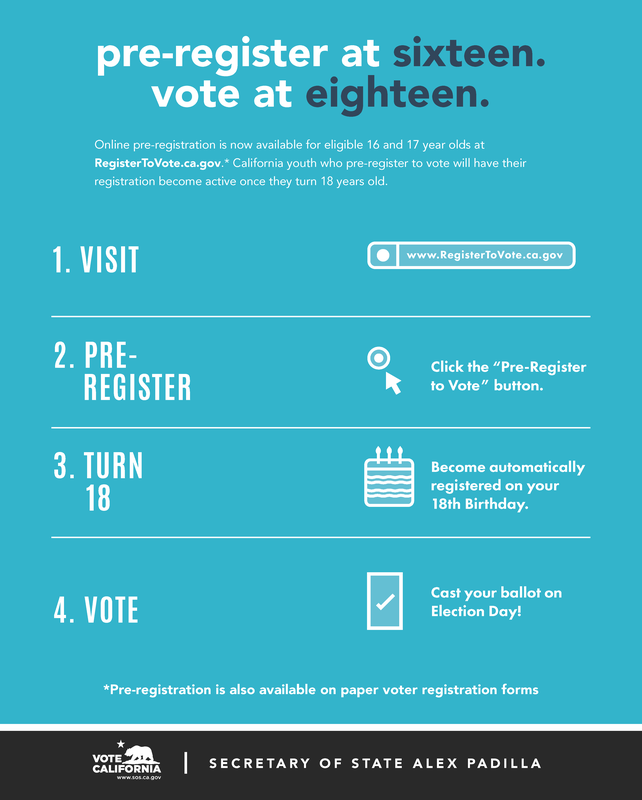 Eligible youth who pre-register to vote will have their voter registration activated when they turn 18 years old. For more information about voter registration, visit http://registertovote.ca.gov/. Voting is an important civic responsibility. CRF-OC encourages students to learn more about the option to pre-register and to share the information with friends and family.